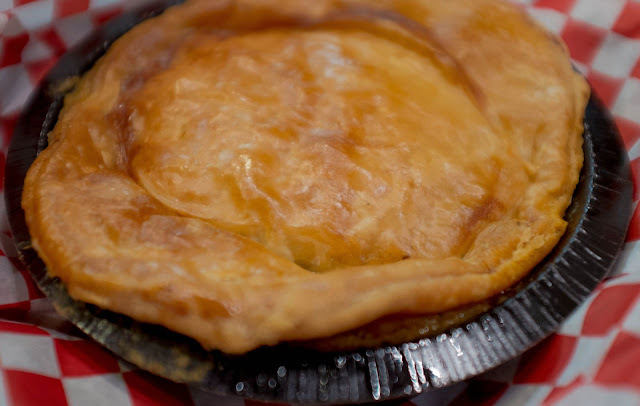 We had just started reading Cincinnati food blogs when I learned about Tom's potpies. 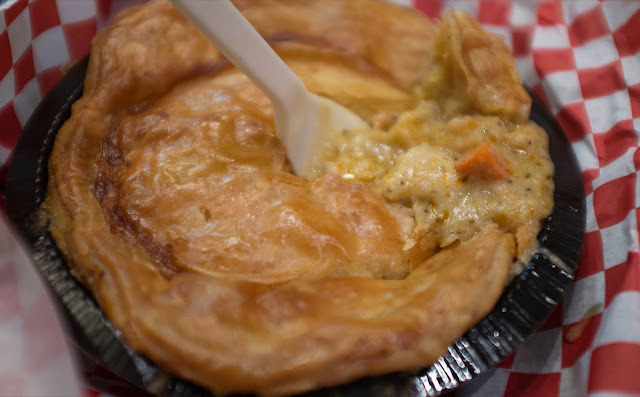 At that time, he was selling pies that everyone raved about out of a storefront on Vine Street in downtown Cincinnati, and I was instantly enamored with the idea of a place that sold nothing but chicken potpies. 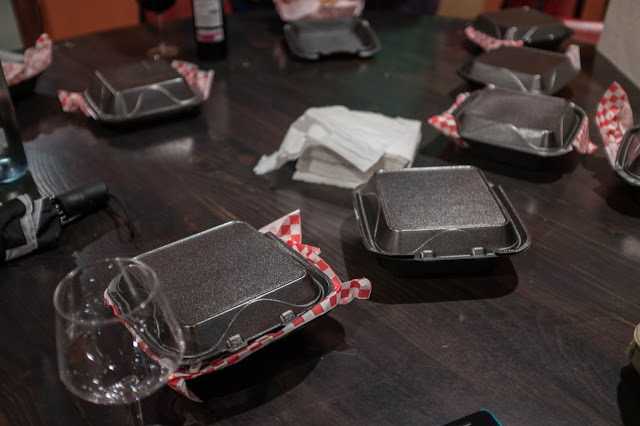 Alas, right around the time we were set to go to Tom's to get a much coveted potpie, word spread that Tom's Potpies had closed, and Tom had vanished like a culinary phantom. I was dismayed, but there was little I could do. And so I resigned myself to never getting one of Tom's potpies. Cue the sad "walking away" music. A month or so ago, I saw an update from Neon's unplugged. I was so excited I almost hopped out of my chair. "DAVID! The potpies! The potpies!" David, while mildly intrigued, was skeptical. "Are you sure it's the same guy? 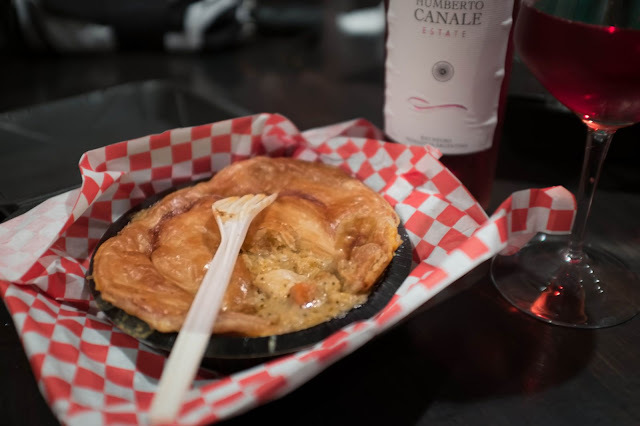 You've been chasing after these potpies for what, 5 years now?" "I think so. And I'm going to find out!" Alas, when I went the Neon's to try and get one, they were sold out. 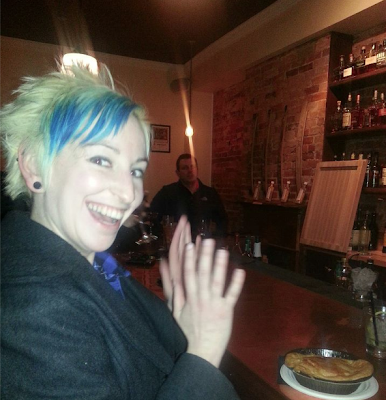 Once again, the potpie had eluded me. So when I knew they would be at Old Kentucky Bourbon Bar the following Wednesday, I pretty much begged the bar manager to save me one. He held up his end of the bargain. 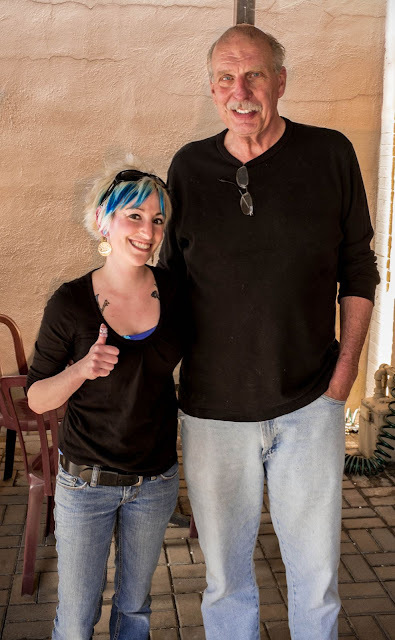 Following that, I found out that Tom would deliver potpies downtown if you called and asked nicely, and gave him a day's notice. So I did the only sensible thing. 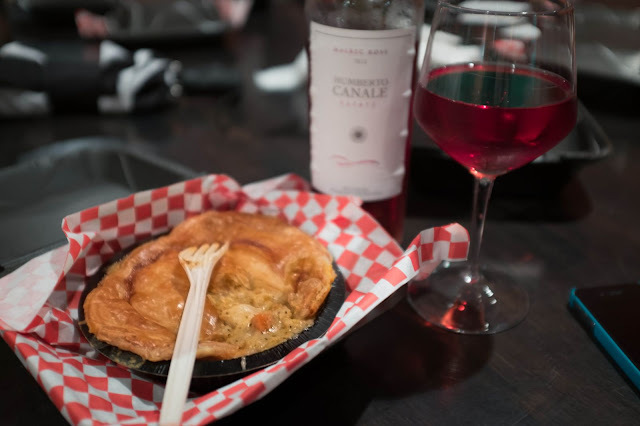 I assembled some friends and had a chicken potpie party at one of our favorite downtown spots, City Cellars. So how were the pies? Well, they were worth the wait. Tom knows what he's doing. 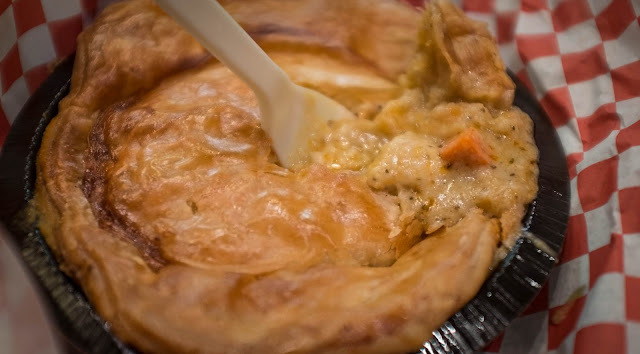 Flaky crust, moist, tender big chunks of chicken, and a medley of vegetables in a perfectly salted sauce. 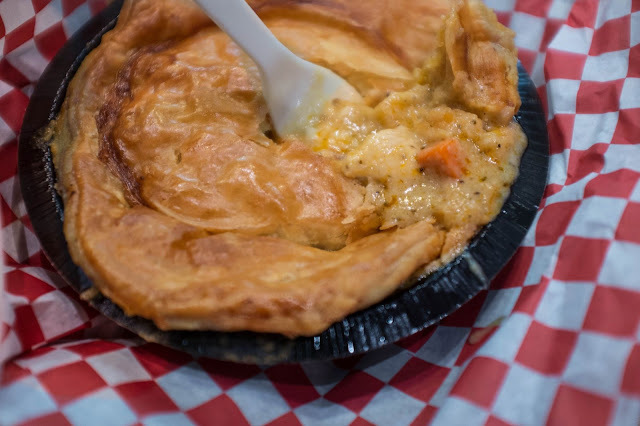 Potpies are $7 and worth every penny. 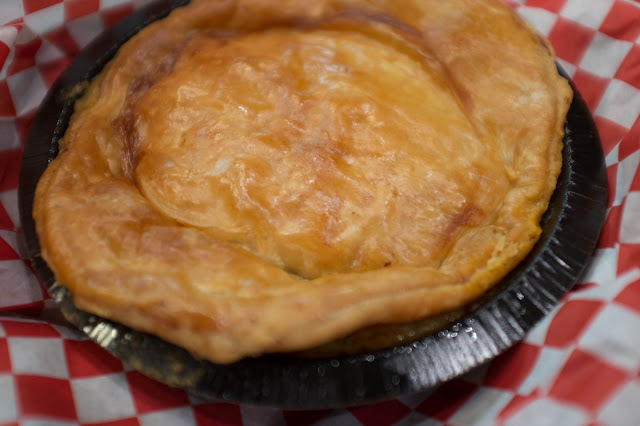 You can reach Tom at 513-235-2400 for potpie orders. 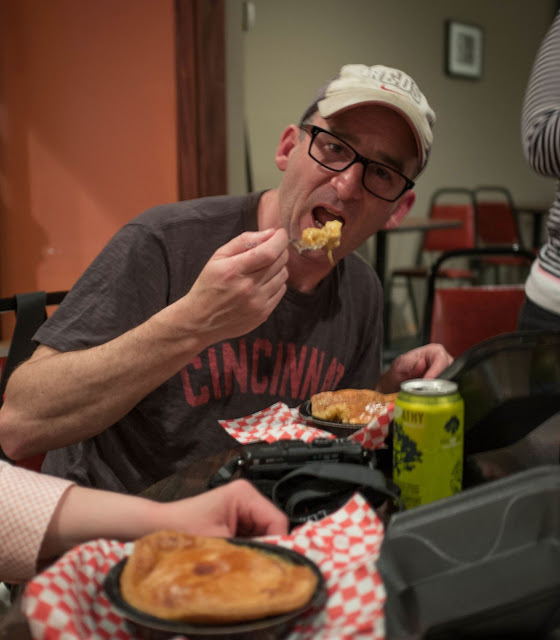 I'd recommend avoiding home games, as rumor has it that the Cincinnati Reds devour Tom's pies before each home game. You can't hide from me, Tom!